쿠스코 구시가에 있는 본 숙소(노보텔 쿠스코)는 여행객들에게 인기가 있습니다. 이 곳에서 생동감 넘치는 도시의 많은 것을 최대로 즐길 수 있습니다. Galeria Martin Chambi en Scotiabank, Real Plaza, 에스타디오 가르실라소 등에 인접함과 깨끗한 환경은 본 숙소가 갖는 특별한 매력입니다. Accor Hotels의 우수한 서비스와 친절한 직원들에 대한 명성이 노보텔 쿠스코의 기대감을 높여줍니다. 투숙객들은 숙소 내에서 Wi-Fi (무료/전 객실), 24시간 프런트 데스크, 장애인용 편의시설, 여행 가방 보관, 룸서비스 등을 즐길 수 있습니다. 모든 숙소에는 편의 시설이 마련되어 있어 비할 데 없는 편안함을 선사합니다. 본 숙소 투숙 기간 다양한 여가 시설 등을 이용할 수 있습니다. 본 숙소(노보텔 쿠스코)는 쿠스코에서 편안하고 매력적인 곳을 찾는 여행객들에게 이상적인 장소입니다. 2박을 했는데, 첫날은 반 지하같은 방을 줘서(2층) 창문 바로 밖으로 사람이 걸어다녔다. 고산증때문에 종일 호텔에 있었는데 낮에 커튼을 못열고 빛이 안들어와서 우울증 걸릴거 같아서 다음날 방을 바꿔달라고 함. 그랬더니 완전지하 1층방 정원뷰였는데 그나마 지하가 더 괜찮았다. 같은 가격이면 빛 잘 들어오고 뷰 조금이라도 있는 숙소를 가는게 더 좋을거같다. 쿠스코에서 너무 편하게 있기 좋고~ 뭐하나 불만족스러운게없네요~난방도 잘되고~ 짐도맡아주시고 코카차도 로비에 항시있구! The hotel was housed in an traditional looking building and had a beautiful outlook. The hotel was very clean and the staff were excellent in service. There were many shops near the hotel. There some nice restaurants too,. 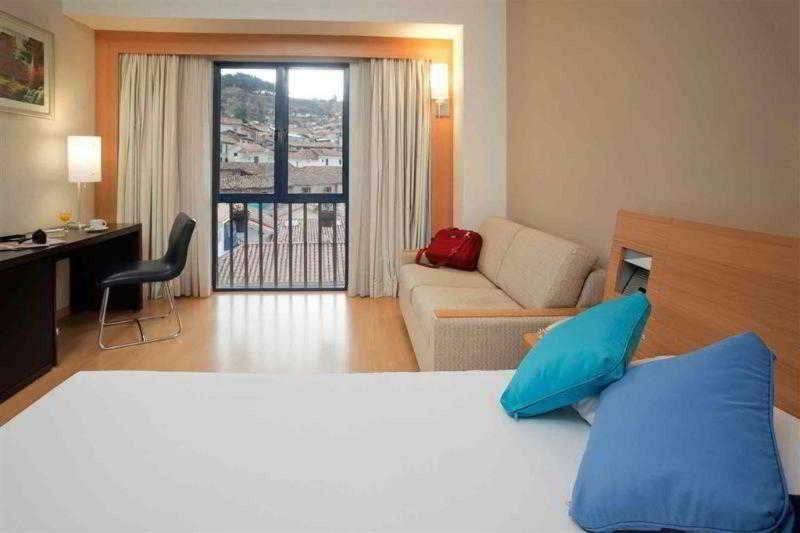 A good place to stay in Cusco. Fantastic settings inside the hotel. Location was great.Breakfast was excellent. Staff wrre very helpful. Shops and restaurants nearby. 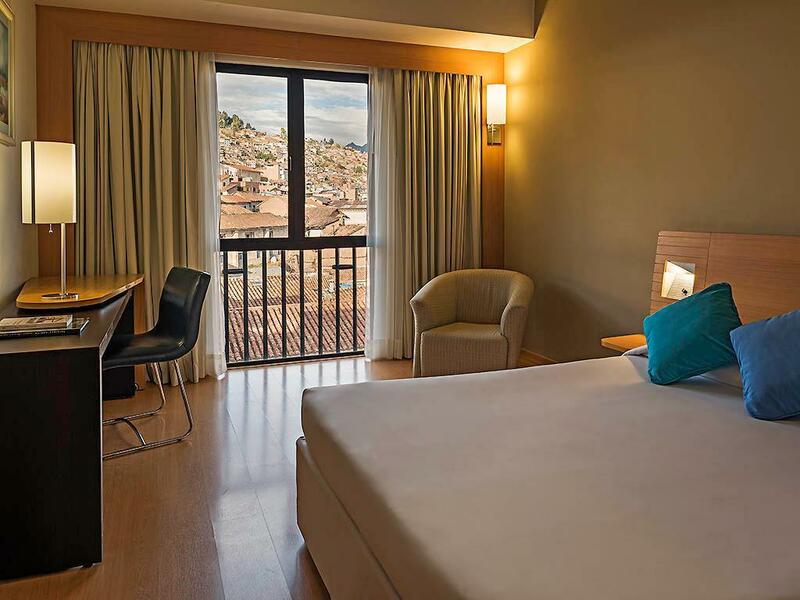 Novotel Cusco is a clean, friendly hotel in a great location in historic central Cusco. 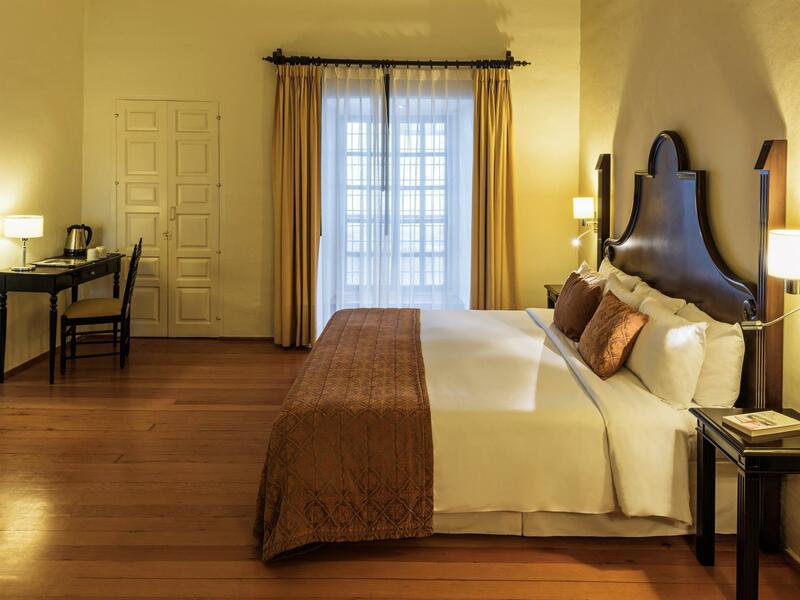 The hotel features a charming courtyard and a nice breakfast buffet featuring some local specialties . 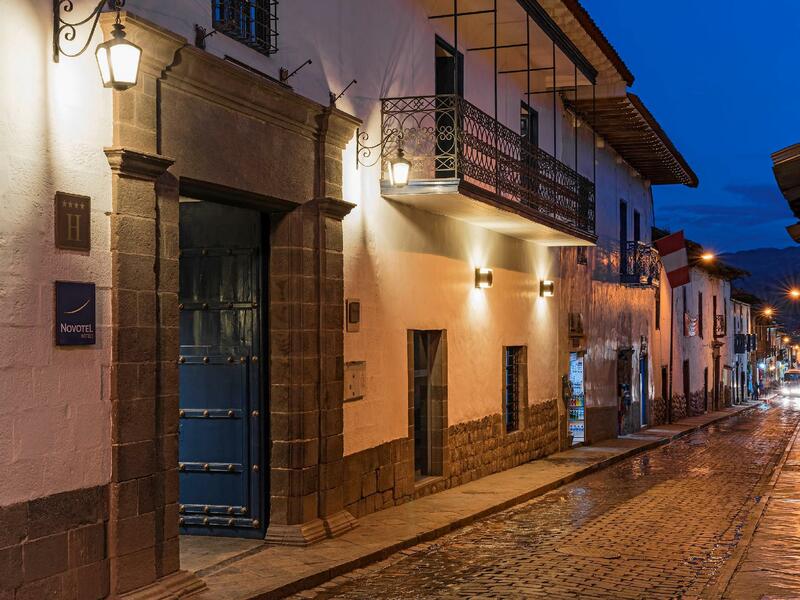 There was live Andean music at different times of day as well as complementary coca tea. Thanks to Frank, Norman and Jose Luis for great customer service! the hotel was excellent , and the staff very helpful . they made our stay a very comfortable and enjoyble . Hotel personal were very courtiers at the fron dsk, the rooms and hallways were very nice illuminated, the room was very nice and clean. The hotel was in an excellent location, which takes around 5 minutes walk to the main attractions. The staff was very nice and helpful. Recommended !